According to the United States Census Bureau there are over 7 BILLION people in this world growing at a rate of one birth every 8 seconds and shrinking at rate of one death every 12 seconds. Out of all 7 billion and counting people, you are the only one with your unique qualities. God made us all to have different personalities, tastes, body types, interests, thoughts, dreams, goals etc. That’s what makes you so wonderful! Layer 2, “Style”: Add another layer. Bring in a WOW piece. A scarf, a necklace, a hat. The addition that can take your look from ordinary to extraordinary. This is what sets you apart from being “Dressed” to being “Styled.” If you get to this point everyday, your in it. This is what gives you an opportunity to create your personal style. Have fun experimenting with ways to wear scarves, and different types of jewelry. You have lots of room to play with various looks and styles. Some will be winners and others not so much. Every chance is worth taking because now you know something about your style that you didn’t before. Have fun and don’t be afraid to try new things. Base: Plain Jane, lets call this the blank canvas… the possibilities are endless! 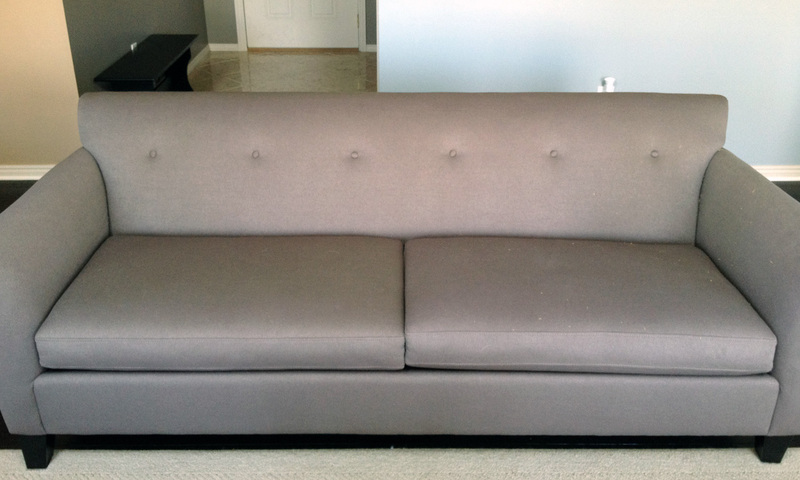 This base couch is certainly a functional piece of furniture. It will do the job, but feels a little cold and uninviting. 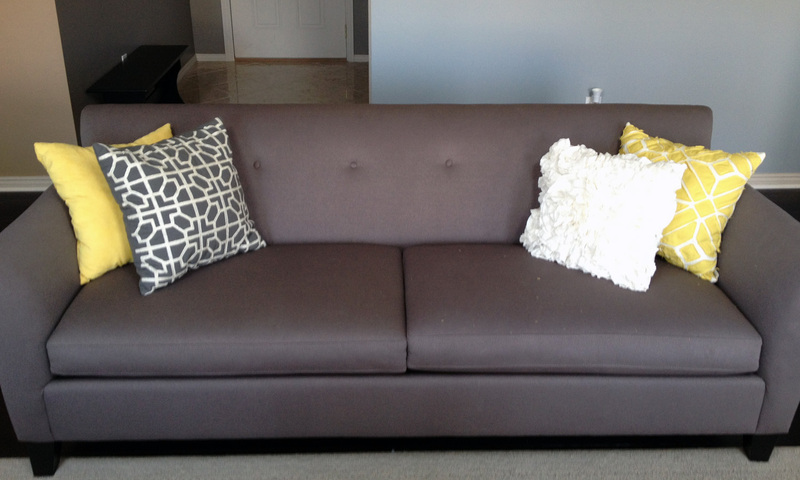 Layer 1: Lets throw a couple pillows on that couch! Layer 2: Lets throw on a couple more! Now we are starting to see some personality! The extra pillows add texture creating a theme and visual interest. 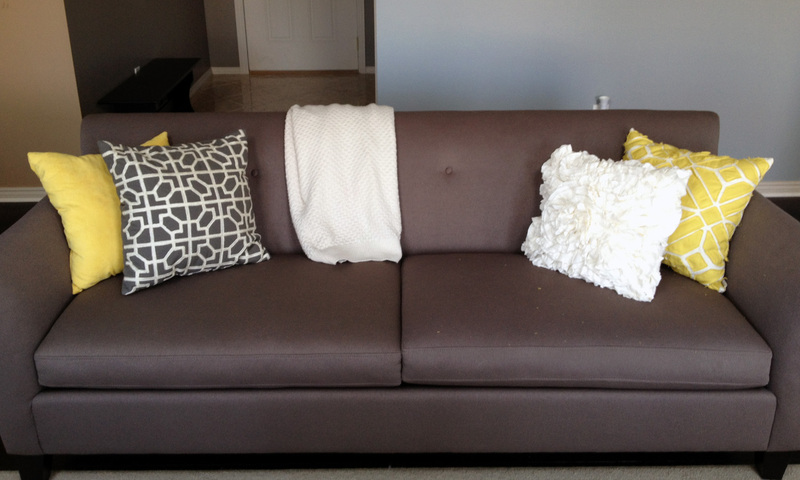 Look how just the two extra pillows and the use of pattern make the couch feel more warm and cozy. Layer 4: One last touch. There’s that icing! 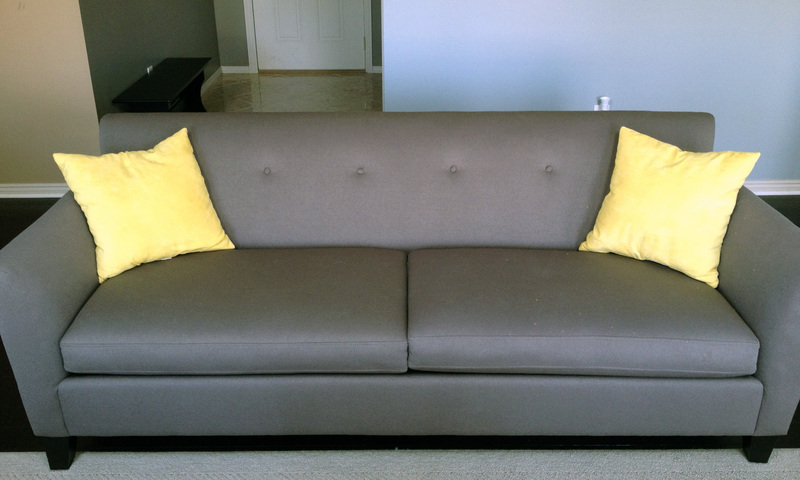 The one piece that stylizes this couch giving it a voice. It now says something. It welcomes you to come join the party, snuggle up, bring the latest edition of Instyle, some hot tea, and turn on your favorite tunes! Whether its styling yourself or your living room, just adding a few simple pieces can make a big impact. It is important to embrace your individuality and show who you are. Putting the time and extra care into your style can give you a huge confidence boost preparing you to take on each day with a positive attitude and an extra skip in your step. When you look good…. you feel good. Being who you are on the inside and out is the best feeling 🙂 So go to your closets and start playing dress up! Dress, Style, Separate and start finding your personal style one outfit at at time. Tell us what you think below or post to our Facebook page. Share your new ideas for looks, and tell us how you make your fashion choices each day; we can’t wait to hear from you! Want to dig deeper? Look out for future posts on each concept with more detail and ideas. Earrings are my favorite piece to step out with my own unique style. If i’m wearing a simple outfit, or my uniform at work, its fun to add a little pop of personality with some dangle earrings and jewelry! With fall fashion in full swing, I thought it would be appropriate to revisit our tips on how to dress to impress everyday. Enjoy and Happy Fall!